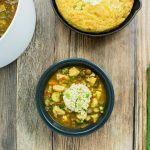 Cajun Bean & Chicken Stew is Cajun comfort food! Chicken, beans, & spices are the perfect combo. Hearty with just the right heat! 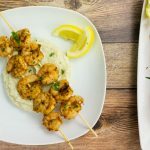 Weight Watcher friendly recipe- 1 SmartPoint! One of my favorite cities is New Orleans. I cannot describe the feeling I have each time I go to visit this majestic city. So much life, culture, and just all around good vibes. I’ve been to NOLA (New Orleans for short) about 6 times and try to have a new and different experience each visit. If you’ve been to New Orleans I’m sure you can agree with me that the food and music are what makes this city so special. 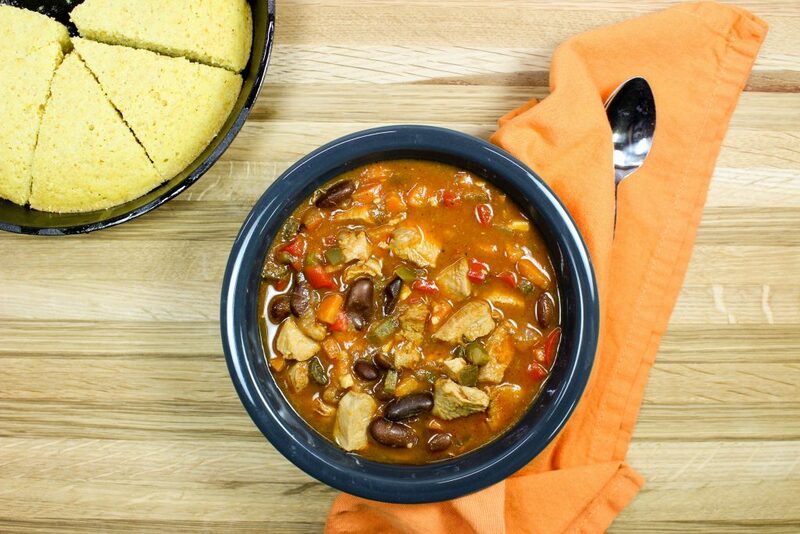 My Cajun Bean & Chicken Stew is a nod to all my favorite Cajun dishes. Delicious chicken breast, red kidney beans, and Cajun spices served over rice make for a perfect bowl of comfort food. This is a Weight Watcher friendly recipe and each serving is 1 SmartPoint. The first time I went to New Orleans was about 8 years ago with a few of my closest girlfriends. I remember the first thing we did when we arrived was eat! We ate our way around New Orleans trying new types of dishes and tasting flavors I had never had before. It was an amazing culinary experience for me! Each time I have gone to NOLA I try to eat a classic Cajun/Creole dish that I didn’t try during the previous visit. So many amazing dishes: Po-boys, Red Beans and Rice, Jambalaya, and Gumbo just to name a few. And each of these dishes will be a recipe post coming soon :). I’ve been to New Orleans quite a few times and each trip has been a completely different experience for the others. My last trip to New Orleans was last December for New Years Eve. I went there with my boyfriend. We both had a fond place in our hearts for NOLA because of the food and the incredible music. We couldn’t wait to get to the city and start eating! The first thing we did when we arrived was go eat some food. We tried our best to savor each meal we ate so that we could remember the food when we returned home! We ate our way around New Orleans and enjoyed every bite. Aside from the food and music, another reason why NOLA holds just a special place in my heart is because that’s where I got engaged! 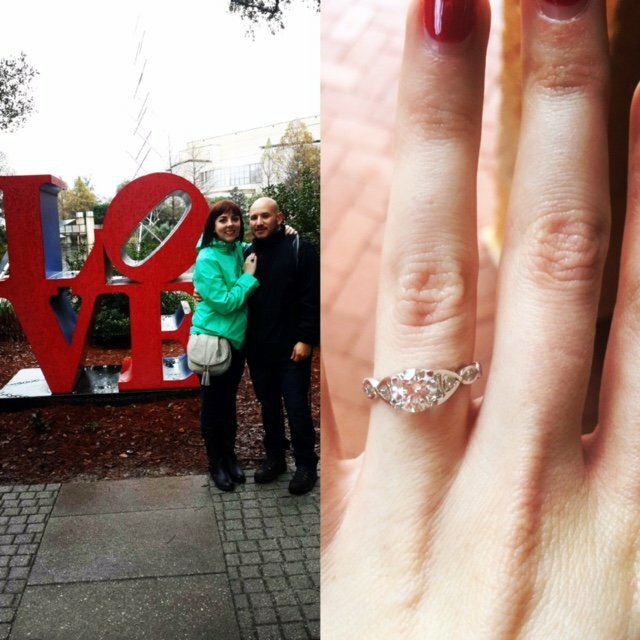 Yep, the boyfriend that I went to NOLA with last December proposed to me the day before New Years Eve. I could write a book about this magical day but I’ll just share with you a quick recap. It was a rainy day in New Years so we decided to go to the New Orleans Museum of Art, a place neither of us had been to yet. We walked around the museum for hours and saw some absolutely amazing art work and sculptures. After that, we walked over to the Sculpture Garden and then that’s where my life changed forever. We were all alone and stopped right in front of a sculpture sign that said “Love”. That’s when he asked, I said “Is this really happening” followed by a big YES, and we hugged and cried. It was really magical and we felt like we were the only people in the world. After a few minutes, a family walked close to us which I felt like was fate so that we could get a picture of us to capture the best moment of my life. So, now you can understand why New Orleans means so much to me. A city of love, food, and music! If you’ve read any of my other post, you might pick up on the fact that I got married in May, so we were only engaged for 5 months. We couldn’t wait to get married so we didn’t want to have a super long engagement. We had an amazing wedding and I’ll be sure to tell you more about it another time. The food we had at our wedding will be inspiration for future recipes that I will be sharing with you :)! Alright, back to business… food! A while back I was thinking fondly of all the food I’ve had during my many trips to New Orleans. Probably one of my favorite dishes is red beans and rice. I know, it sounds so simple but I just love beans and rice! I wanted to make a recipe that had the flavors of red beans and rice plus some extra protein. That’s when I came up with Cajun Bean & Chicken Stew. I really could go on and on about how good this stew is… seriously. When I first made this recipe it was cooked, I captured the pictures I needed for this post, finally sat down and ate a bowl of this stew, I was blown away. My husband couldn’t believe it either. MMMMHMM… so good y’all! The recipe starts with the classic Cajun mirepoix, which is onion, carrot, and celery. To kick it up a notch, I added red bell pepper and jalapeno to the mix. Once the vegetables are sautéed, add diced chicken breast and Cajun seasonings. Let the chicken cook for a few minutes then add tomato sauce, Louisiana hot sauce, Worcestershire sauce, red kidney beans, chicken broth, and a bay left. This stew will simmer for about 30 minutes. If you have the time, I would let it cook for an hour or so just to let the spices open up and do their magic. I recently got a cast iron dutch oven and if I’m not cooking with my crock pot, I’m cooking with this dutch oven. I absolutely love it! The whole pot gets hot so whatever you are cooking inside gets evenly cooked. It’s amazing and perfect for a stew that you want to make in less than a few hours! 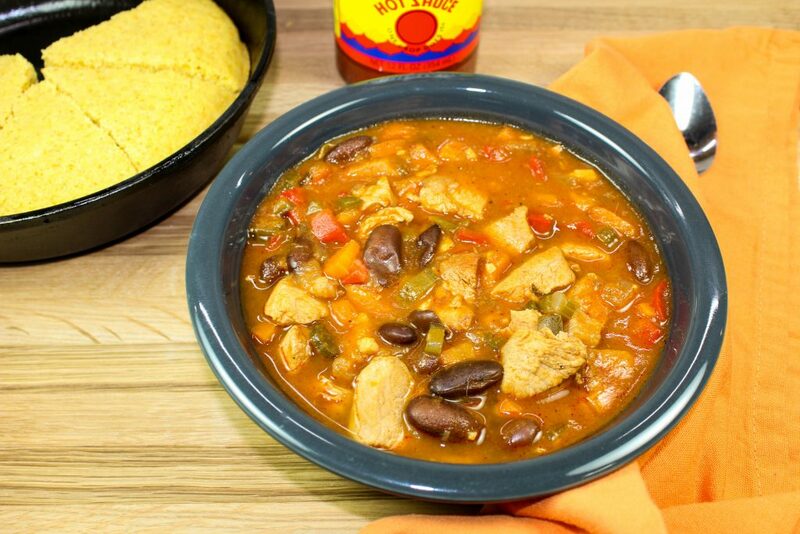 Cajun Bean and Chicken Stew is Cajun comfort in a bowl. Delicious chicken breast, red kidney beans, and Cajun spices served over rice make for the perfect combination of flavors. Hearty with just the right heat. Healthy and freezer friendly! 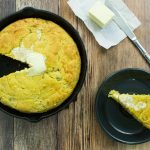 I like to serve this stew with a side of delicious Sweet Skillet Cornbread. Weight Watchers friendly and only 1 SmartPoints per serving! Dice onion, bell pepper, celery stalks, carrot, and jalapeno. Set aside. Dice chicken breast into 1 inches cubes and set aside. Over medium heat, add olive oil to a Dutch oven. Add diced onion, bell pepper, celery, carrot, and jalapeno to Dutch oven. Sautee for 10 minutes. Add garlic and sauté for 5 minutes. Add diced chicken, tomato paste, Cajun seasoning, salt & pepper. Cook for 10 minutes. Add tomato sauce, Louisiana hot sauce, Worcestershire sauce, kidney beans, chicken broth, diced celery leaves, and bay leaf. Reduce heat to medium low and cook for 30 minutes. Rice not included in nutrition calculation or Weight Watchers SmartPoints calculation. This meal is freezer friendly! November 4, 2016 at 11:05 am Oh thank you so much Rachel :)!! November 4, 2016 at 11:05 am Than you Amie!!! Yes, please share with your mom. All my recipes are focused on Weight Watchers (SmartPoints). I'd love to hear feedback. Thanks for commenting! November 6, 2016 at 4:09 pm I can't get enough spicy food lately!! Thanks so much for commenting Amber! November 6, 2016 at 4:08 pm I hope you make it soon! Thanks so much for commenting Yana! November 12, 2016 at 3:03 pm This looks delicious. Yum! November 13, 2016 at 2:32 pm Thank you so much Kristyn!! November 13, 2016 at 8:53 pm What a yummy sounding stew and thanks so much for sharing that sweet story with us! November 14, 2016 at 10:41 am Aww I'm glad you enjoyed the story :). Thanks so much for commenting J!! November 16, 2016 at 9:45 am Me too Kim! Cajun food warms you up! Thanks so much for commenting! 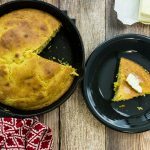 March 1, 2018 at 11:28 am This sounds great! I am going to make it tomorrow, could I sub Red Hot Sauce for Louisiana Hot Sauce? March 4, 2018 at 11:12 am Hi Laura, Great question! You can use any hot sauce you'd like if you don't want to use Louisiana Hot Sauce. I hope you like it!